Good landscaping is all about maximising your outdoor area, and that means making it usable 24-hours a day and in all types of weather. 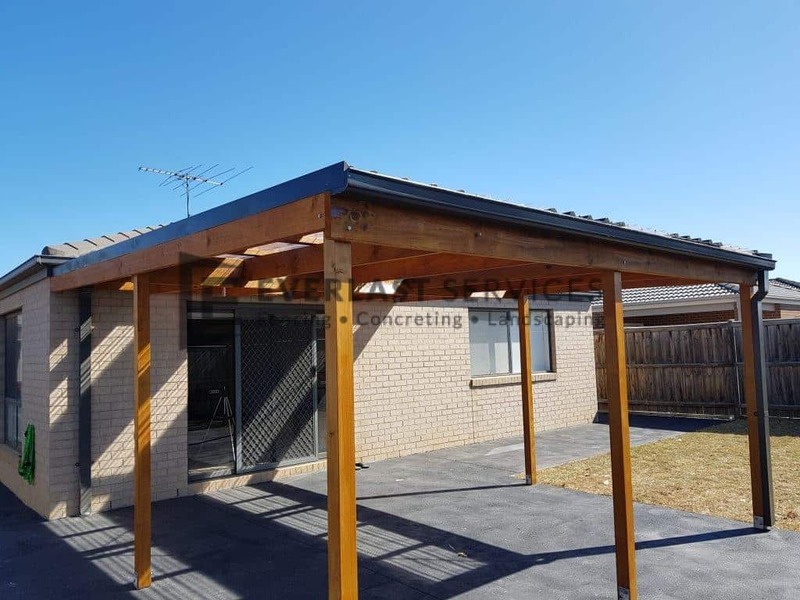 If that is your aim, you need to know about verandahs, pergolas and patios. All of these options give you a covered outdoor area where you can wine, dine and relax. They maximise your property, extend your living space and increase the value of your home. So, how do you choose between a patio, pergola and a veranda? The word ‘patio’ is actually borrowed from a Spanish word which denotes an inner courtyard without a roof. In English, it refers to a gathering area at the back of the house – with, or without a roof. The area is usually paved or concreted and typically features furniture for outdoor dining and even elements of an outdoor kitchen. Whether it’s a barbeque or a full set-up, the patio should be an area where cooking and eating can be done outside. It should also feature an assortment of plants, whether they are potted or hanging from the walls and roof a la an Italian or French courtyard scene. We inherited this term from our friends in India by way of the Middle East. It literally means, ‘a place that leads outdoors.’ It refers to a long, narrow structure usually found at the front of the house, or even snaking around the entirety of the structure. They have become an essential element of Australian homes, particularly the classic homestead you find on rural properties throughout the country. They are still an essential element of the modern home, and perform a function beyond extending the living space. They also provide protection against the hot summer sun, keeping the interior of the home cooler during summer. Another word we have stolen, or borrowed. This one comes from the Italians and refers to an outdoor structure that supports climbing plants. They look beautiful covered in grapevine and other fruit-bearing vines, but you can use them for any creeper or climber you like. Traditionally, they are freestanding, but in modern times they can be attached to the house. They can be meshed to provide shade, or over time the vines themselves will provide a beautiful, covered area. Well, they’ve all moved away from their more traditional meaning and can all be customised to suit your needs. One thing is for sure, it can be very handy to fit both pergolas and patios with some form of covering. This gives you a genuinely 24-hour space and means you can enjoy them no matter what the weather has decided to do. So, How Do I Choose The Right Option? Well, it all depends on what you want to achieve. If you want somewhere to relax around your house and keep it a lot cooler in the summer, you really should invest in a verandah. There’s a reason why they’re an Australian favourite, they’re made for this sometimes hellish climate we all live in. When it comes to choosing between a pergola or a patio, it comes down to taste and design needs. Think of a pergola as part of your garden, while a patio is more an extension of your home. Pergolas are the perfect way to organise your garden design. It gives it a focal point, which you can then flow from. Patios are an excellent and often cost-effective of means of adding another toom for your home, while also acting as a vital design piece within your wider landscape design. So, now you know everything you need to know about these three wonderful and essential structures, it’s time to add them to your home and garden. If you’re stuck on what will work for you, give Everlast Services a call. One of our expert landscapers will be more than happy to discuss your needs and give you an idea of what will work for you, how much it will cost and how long it will take. We can also give you ideas on where you can save money and the types of materials you need to get the most bang for your buck. 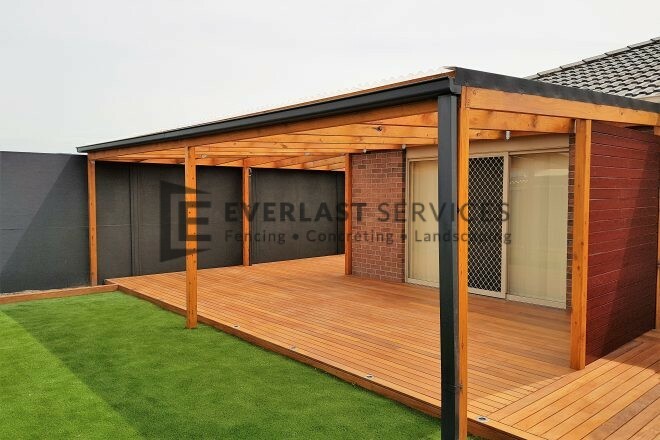 Get in touch today and welcome a new patio, pergola or veranda into your world.